Almost everyone who lives or visits Sri Lanka recognizes there is a problem with the street dog population. 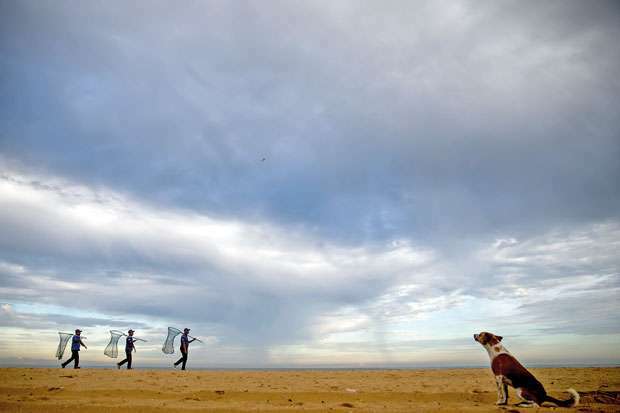 Wherever you go, be on the beach, your apartment block or on the streets, there are dogs and puppies everywhere that live constantly with the risk of death and disease. It was a fortuitous moment in 2016 when successful British project manager Samantha (Sam) Green visited Sri Lanka for a holiday. Little did she know that this visit would change the course of her career, as well as her life. In the grounds of a temple, a litter of puppies had come running up to her, riddled with fleas. After fetching a flea treatment, a monk approached her and asked if she could help another animal. 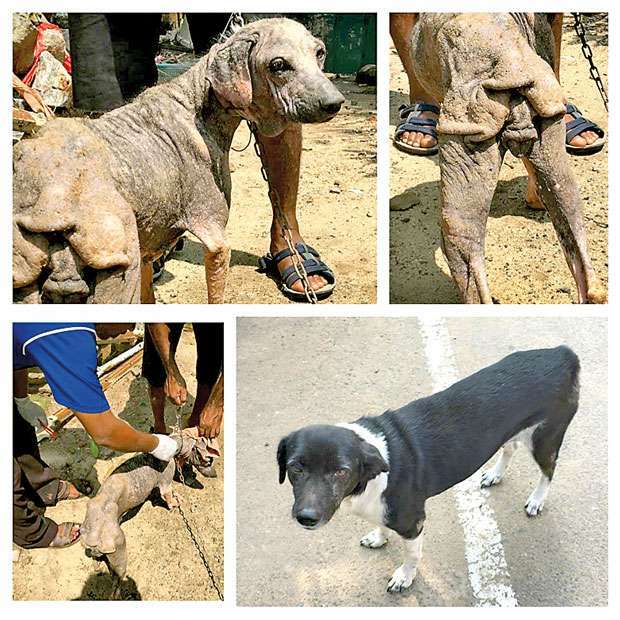 He took her to a severely emaciated dog, suffering with mange and a range of sores, her leg bent at an unusual angle. As Sam looked into the eyes of the sick dog, who was later to be named Mango, something changed for her. 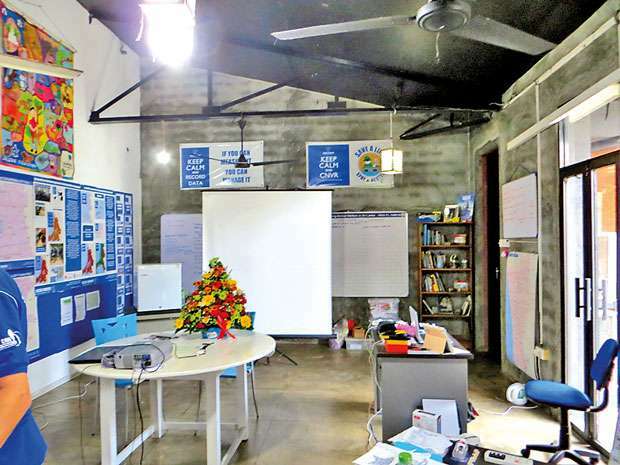 She found herself agreeing to help and scoured the local area to find a vet to treat the dog and it was there, in a temple courtyard, the idea for the Dogstar Foundation was born. Controlling the street dog population (and pets) through sterilization. Running educational programmes in the community to explain the importance of sterilization and animal care in the fight against animal suffering. The mobile skin care programme which treats dogs on the spot for a variety of skin complaints such as mange. Eradicating rabies through a partnership with Mission Rabies through an evidence based and sustainable programme that doesn’t require the mass culling of dogs. According to Sam, their method to implement the programme is all science based, the main benefit of this is that the progress is able to be tracked easily. In Negombo they have broken the entire geographical area down into zones. Members of their team then go into each area on either foot or via tuk to find out how many dogs are there, what condition they are in, how many are sterilized, their genders and approximate age. To achieve this surveying, they use mobile phone technology with an app that allows them to record every road and area they search and record the location and details of the dogs in the app. Each dog is given a unique number which follows them throughout their journey with Dogstar. Based on this info they are able to create a map of the dog population and plan out their work projects. The great news? 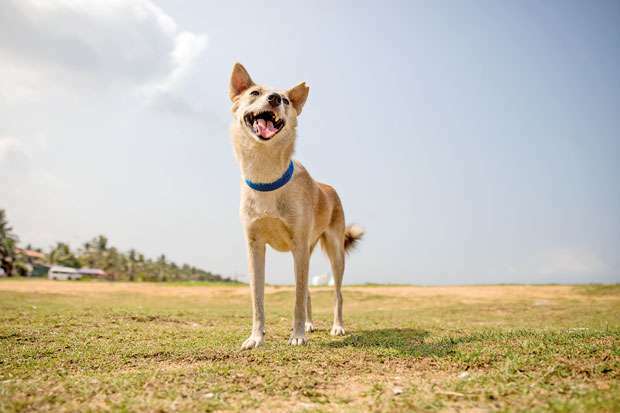 Negombo is now 75% sterilized – that’s roughly 6600 dogs! Can I call Dogstar if I find an injured dog on the road? As much as they would love to be able to help each and every animal, because of limited funding and resources in the area of emergency medical care, if you come across an animal that has been hurt it’s best to call an organization such as Embark who can guide you on how to help. With many other daily challenges, it’s understandable that animal welfare isn’t usually high up on the list of priorities for the majority of people and many have not been given the information on what sort of needs animals have. Sam reflected that “people are not deliberately cruel to animals, most often they just didn’t know that what they were doing was not the optimum way.” It’s a common belief in Sri Lanka that dumping puppies on the road or at the temple is the best thing to do for them but unfortunately most won’t survive this way. By sterilizing your dog, you avoid the suffering all together. 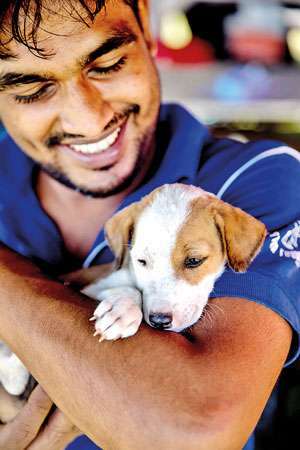 There is major shift happening in Sri Lanka at the moment, especially with the younger generation – animal welfare is a concern and people are passionate about getting out there to do something to benefit animals, whether it be becoming vegan, fostering street animals until they find forever homes or volunteering with an animal welfare organization. 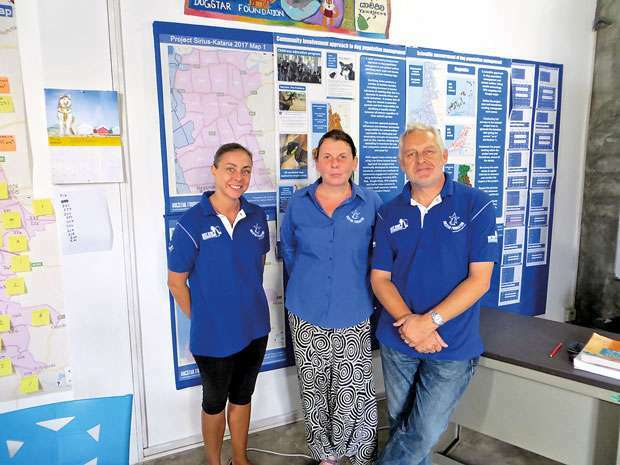 This highly successful programme that Sam and Mark have created is transferrable and their dream is to have vets in all areas of Sri Lanka running the sterilization programme and getting their own street dog populations under control. Happy, safe dogs are a joy to be around and with the help of the communities, there is hope for man’s best friend in Sri Lanka. 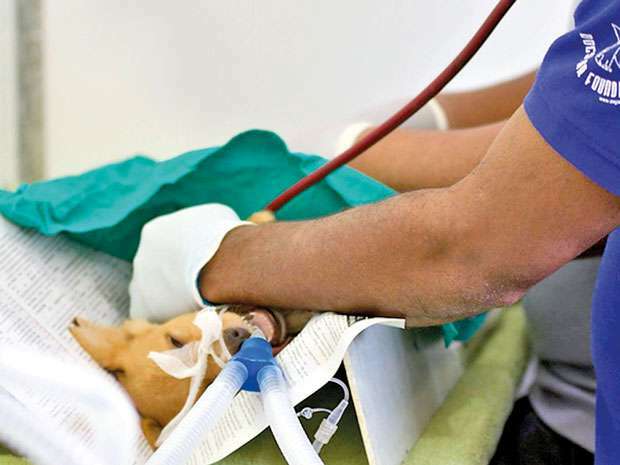 75% sterilized – that’s roughly 6600 dogs! thank you Dogstar Foundation!! you guys rock! Love you all who loves animals. Keep up the good work.